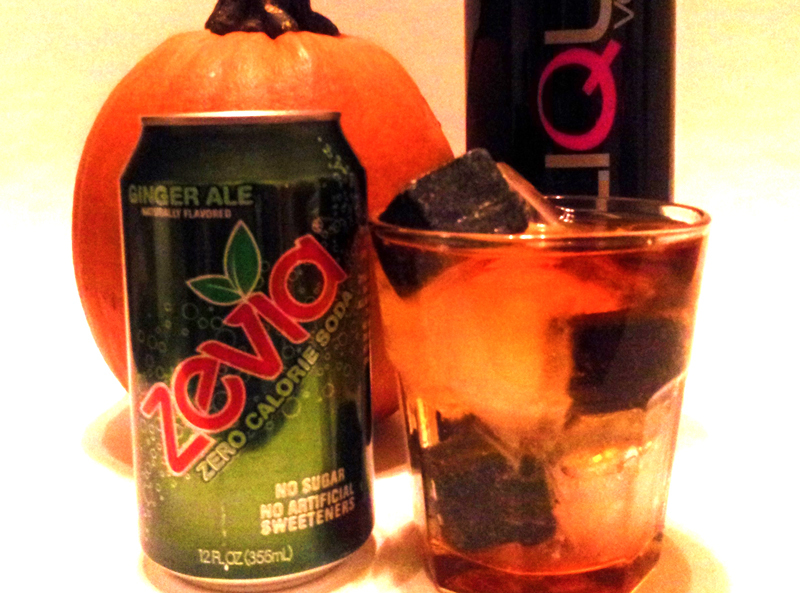 Use Zevia all natural sodas for sugar free Halloween cocktails! 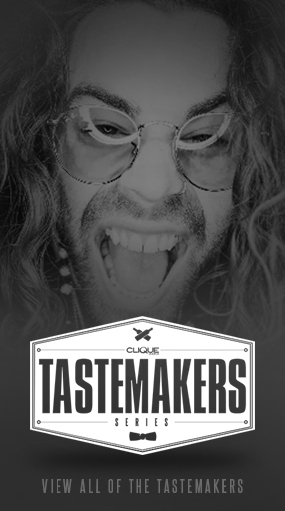 “Ginger Fingers:” In a cocktail tin, muddle 1 1/4 oz Clique Vodka with a few fresh ginger rounds. Add 1/4 oz lemon juice and ice, then shake well to chill. 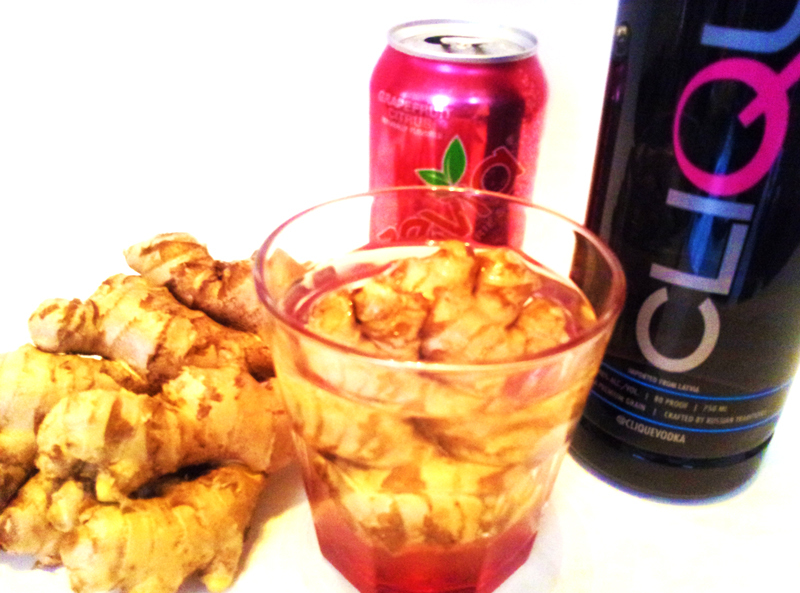 Strain into a rocks glass with a frozen piece of ginger to keep the cocktail cold and top with Zevia Grapefruit Citrus all natural soda. 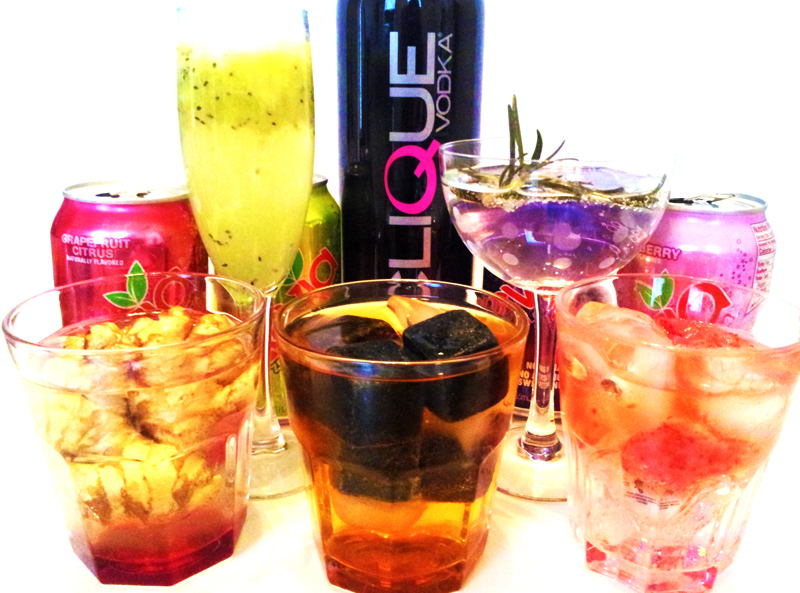 “Mountain Troll:” In a cocktail tin muddle the fleshy fruit of half a kiwi with 1 1/4 oz Clique Vodka and strain into a flute. 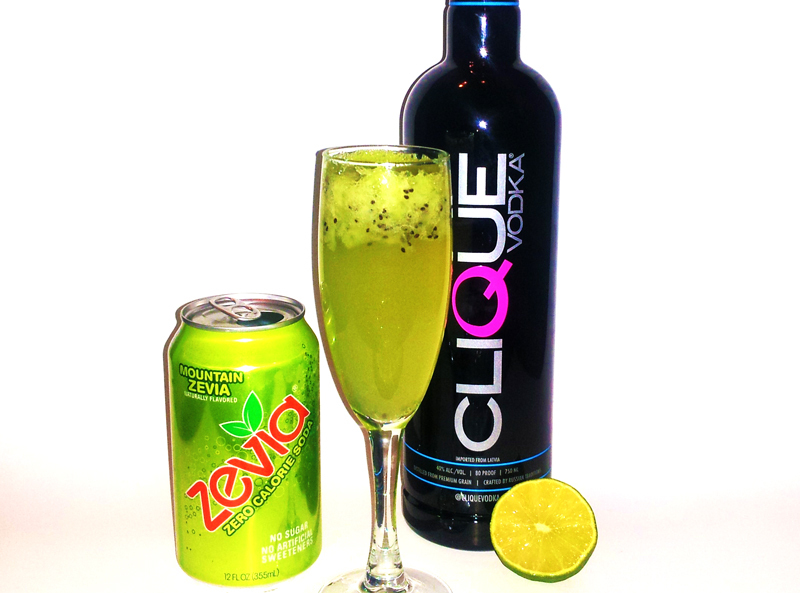 Add 1/4 oz fresh lime juice and top with Mountain Zevia all natural soda. 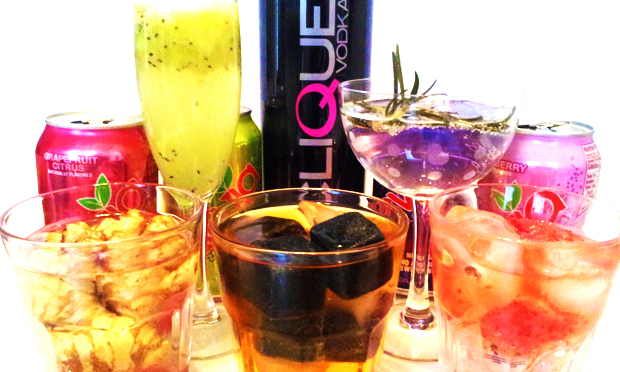 “Bleeding Heart:” Muddle 2 strawberries with 1 1/4 oz Clique Vodka and pour into an ice filled rocks glass. 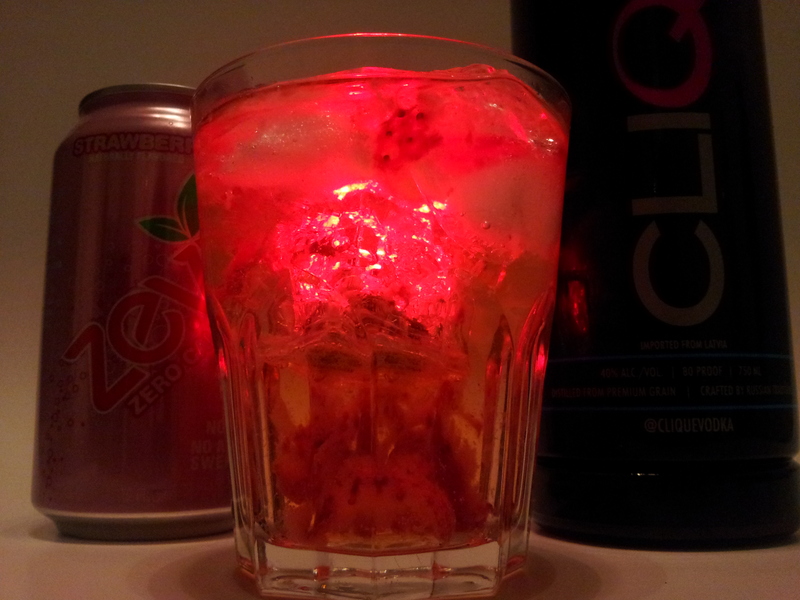 Top with Strawberry Zevia all natural soda and garnish with a light up ice cube. 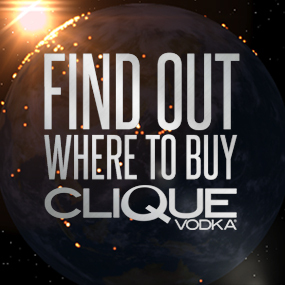 “Pumpkin Patch:” Add 1 1/4 oz pumpkin infused Clique Vodka (get the recipe here) to a rocks glass with ice and top with Zevia all natural ginger ale.